The attackers effectively used fear as a factor to get what they wanted before the victim realized that there was little actual risk. To fix this endless loop of pop-ups, Apple is changing how Safari handles website pop-up windows, making them per-tab rather than having them take over the entire browser. Lookout said that while informed users could get rid of this mess by clearing the device cache, many users easily fell for the trick, especially since attackers posed as law-enforcement, falsely claiming that the victim had to pay a fine to get the browser access back. 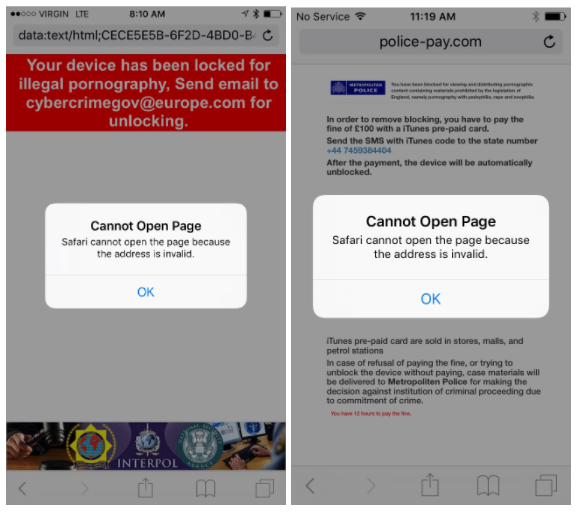 Lookout reported this attack to Apple last month after discovering it in the wild. Apple has now released the fix with iOS 10.3 rolled out earlier today. Users can install the latest OS version to stay safe from this particular attack, along with a number of other security bugs. 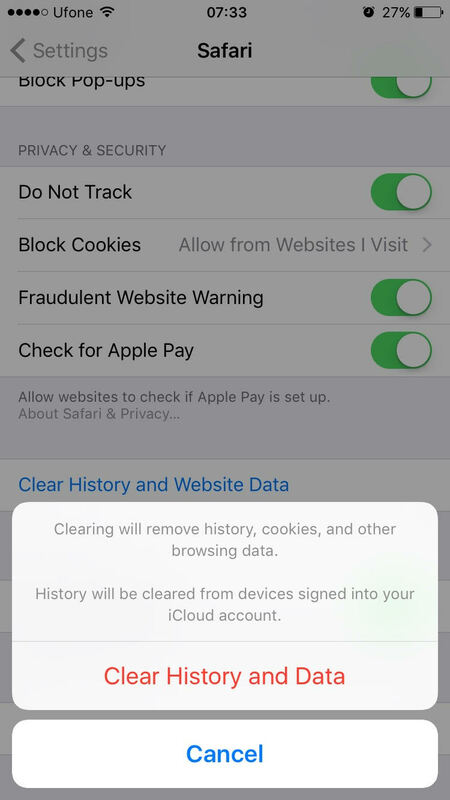 You can also go to Settings > Safari > Clear History and Website Data to get Safari back on iOS without paying anything. “Once a person erases all web history and data, effectively starting Safari as a fresh app, the ransom campaign is defeated,” Lookout said. Apple has also fixed several other security flaws, including a memory corruption issue due to which processing a maliciously crafted image could have led to arbitrary code execution. Another issue in Safari could have enabled a local user to discover websites a user has visited in Private Browsing. Apple’s macOS Sierra has also received a whopping 127 security patches with version 10.12.4, which was also released today. For more details about today’s super-long security bulletin, visit Apple.